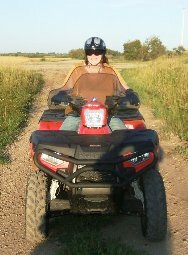 This entry was posted in General and tagged Blog, Blog award, Facebook, Funk, Rated Awards, Site Awards, Sunshine Award, Twitter. Bookmark the permalink. And I understand where you are coming from. There are days when I feel totally useless, and I am very grateful for the people in my life who remind me that I am not useless. I think we all need to hear that sometimes. Speaking for myself, I enjoy your comments on my blogs more than you’ll ever know. Your input is comforting, insightful, and heartfelt. I can assure you that you are a useful and positive influence in the world. Congratulations on yet another Award Sandra – you must have quite a collection by now! Your blog deserves each and every one. You said Paula mentioned your comments, and I would just like to add that I have found your comments really helpful (not just on my posts but others also). You go out of your way with your comments, getting down to the nitty gritty, and I thank you for the time and thoughtfulness you put into them. You are one great blogger! Oh, Barb, thanks. I hate to be greedy, but I am drinking in each report that people have been helped by my comments. I love replying on blogs and mourn that I seem to have too little time to read and reply as much as I want. I am in the process of changing all that, up to and including the dissolution of my little incorporated company. I love your blog on animals, and I love the touch of Australia you put in each one. Hopefully I’ll have another award to spread around. That’s one of the great things about these awards–being able to pass them on. Congrats on a well deserved award! Thank you for the lovely shout out! I look forward to meeting the recipients of your award. It is so easy to get down on ourselves. I am always thankful for the people who extend their goodness to me and lift me up. I’m glad Paula brightened your day…and the world goes round as you brightened mine and others. Congrats on your award!!! I think of you often and am so glad to see you “in the sunshine!” Here are 30 “wishes of happiness” for you to use one each day of a month! Your writing, your insights, and your love of life is so deserving of all of the accolades! Like others, you have been there for me so many times. Thank you for inspiring and supporting me. Here’s to blogging more, reading more, and living “in the sunshine” more! Wow Sandra, I’m blown away by your kind comments. If my blogging could only bring sunshine to one person, I would want it to be you. You’ve been a loyal reader and always have something positive and encouraging to say in your thoughtful and well-put comments. 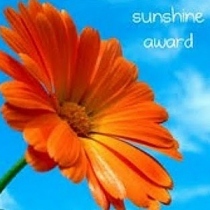 You certainly deserve some sunshine and the Sunshine award. Thanks for selecting me. So glad that PTC helped you to side step that nefarious blue funk that turns the positives into negatives, Sandra. And thanks for spreading sunshine with your wonderful description of SLTW.